I love this idea. 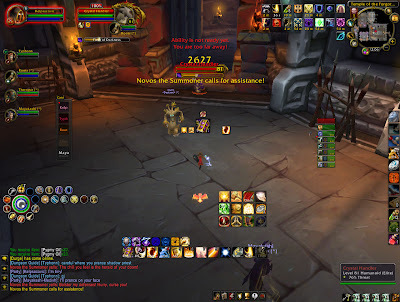 I ran a heroic PoS with some that acted nuts, though only from their comments not their gear. But this I need to see. Screen shot, or it didn't happen. And now I see screen shots. 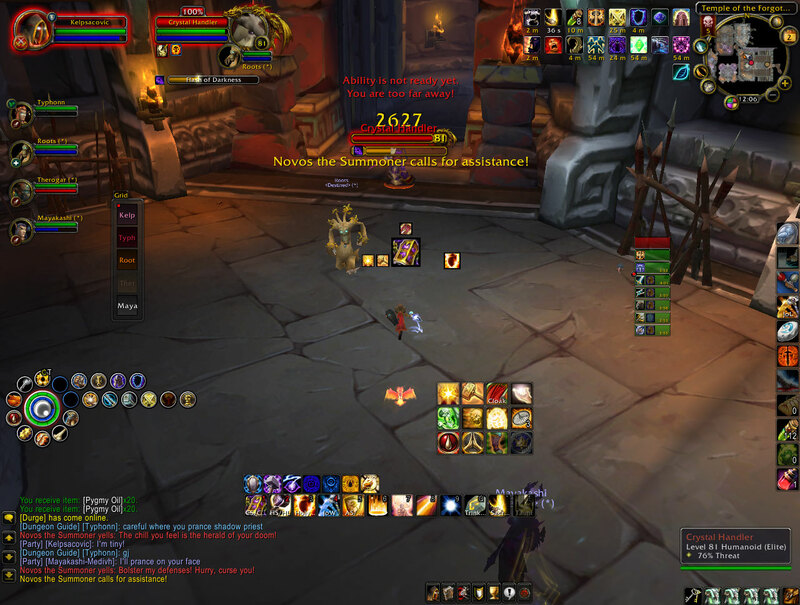 What's really fun is getting to tank in Ret gear, as a Ret spec, queued as dps. :) I've had the opportunity to do it twice. The second time our tank was a Fury Warrior tanking in dps gear. After I realized that was how the tank was out dpsing me, *and* the Tree Druid said "hurray for dps tanks," I just threw caution to the wind. Whoever got to the mobs first tanked. Don't forget to use shape shifting items such as Orb of the Sin'dorei and Noggenfogger Elixir throughout. Well said! 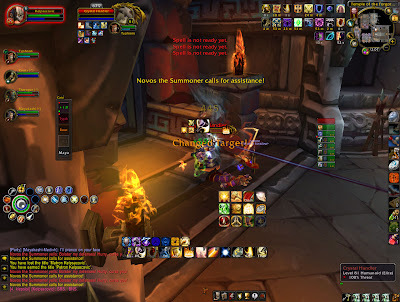 I couldn't agree more :) People forget that WoW has a lot of flexibility to "slack" (for lack of a better word) and that you don't need to be perfect in order to complete a dungeon. It's all about having fun not about min/maxing stats!! I tanked instances as fury in full DPS gear and in zerker stance. Was amusing. 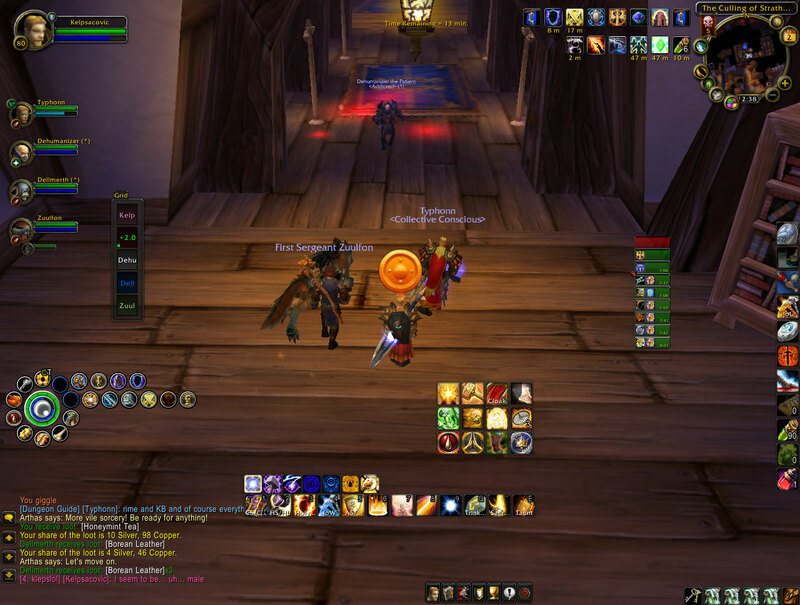 Also I love entering the random with my Holy Warrior set and standing back and bandaging people. Gauss, that's how my warrior first did BRD. I went prot after my healers kept collapsing into tears. I particularly liked your random poem during a boss fight. Or whatever that was. I believe that was me attempting to remember the first few lines of The Beatles "Fool on the Hill". When I play my hunter along an undergeared tank, as I don't want to get mad at tanking everything unwillingly, I put on RP clothes and an old bow and have fun too. 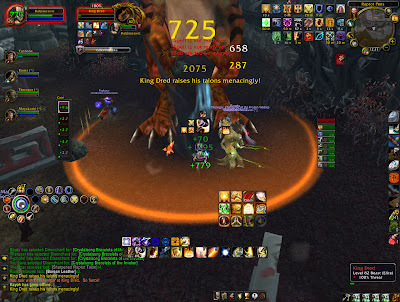 I remember wiping on the last trash mobs because we had kept the worm alive to the end and pulled the whole room... I think we spent more gold on that run that on the 3 hours of raiding before that. I have tried to do the CoT dragon and Malganis at the same time, but it tends to die too soon. My true goal is to kill Malganis before the dragon.